Bear Paw Landing is nestled at the mouth of the channel between Wabigoon and Dinorwic Lakes in beautiful Northwestern Ontario. Enjoy your iconic Canadian fishing or hunting getaway while taking in breathtaking scenery and unmatched sunsets. We are the only archery-only bear hunt camp in the region and we also offer fowl, dear and wolf hunts. 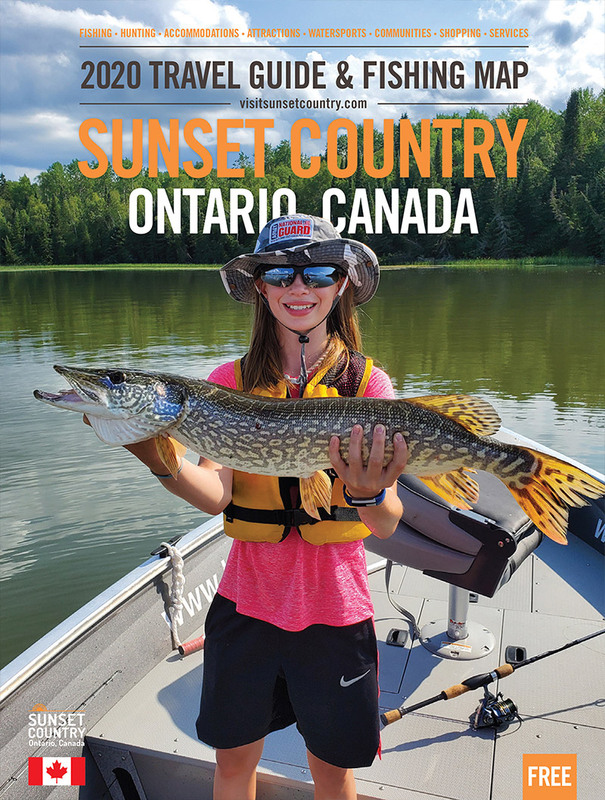 For the fishing enthusiasts, we have what you are looking for with trophy-sized pike, smallmouth bass and muskie as well as walleye, perch and crappie. Enlist the services of one of our experienced guides or head out on your own to explore and search for your perfect spot! Don't forget to partake in a legendary Canadian shore lunch. Here at Bear Paw, we love to encourage our youth to love all that the great outdoors has to offer so bring the family and make unforgettable memories together!